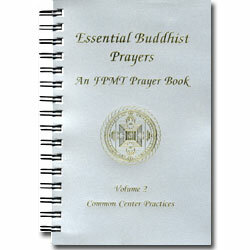 This edition contains all the same prayers and practices as the old edition, with the addition of extensive meditations to be done in conjunction with Lama Tsongkhapa Guru Yoga, a compilation of protector practices as suggested by Lama Zopa Rinpoche for the success of FPMT projects, and an additional section containing long life prayers, special FPMT dedication prayers and multiplying mantras. 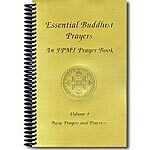 Incorporating suggestions from Lama Zopa Rinpoche with feedback from FPMT students, directors, and spiritual program coordinators, we have created a prayer book that is lighter and easier to use. We combined Tibetan phonetics and English translation in a line-by-line format that allows the practitioner to chant in Tibetan and meditate on the meaning simultaneously. The cumbersome tab system has been replaced with consecutive page numbers and a complete index. As in all our publications, we have switched to new fonts personally selected by Lama Zopa Rinpoche. Spiral binding. 344 pages, 2009 edition. 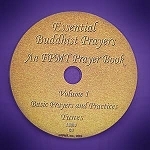 Download Advice for Prostrations from Lama Zopa Rinpoche, Rinpoche's most current advice on how to gain the most benefit from prostrations, to supplement this text.